A gnarled tree stands at the 8600' summit of Mt. 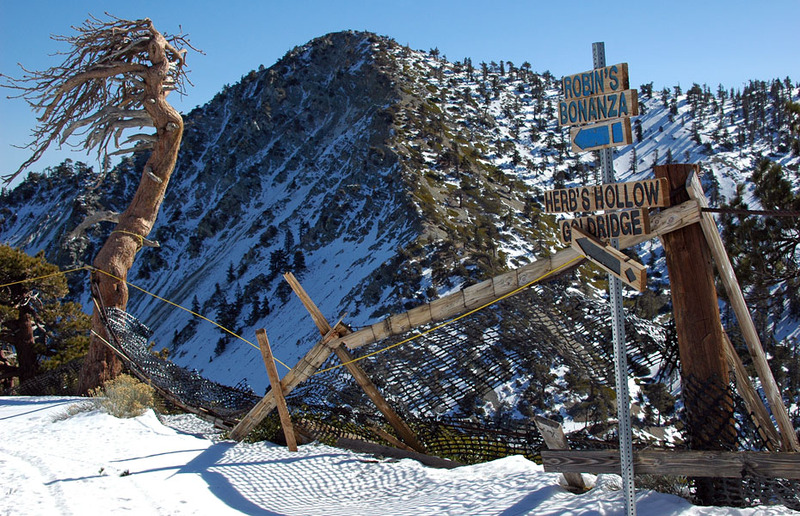 Baldy Ski Area, with a bare Telegraph Peak rising up behind the fence. As you'd guess from this photo, Mt. Baldy is a tad on the rustic side, and not likely to please skiers seeking a more refined experience.